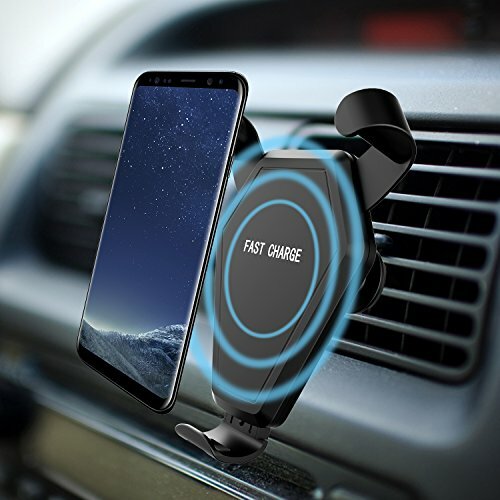 Wireless Charger Compatible Models: Fast Charge Samsung Galaxy S8,S8 Plus, S7 Edge, S7, S6 Edge Plus, Note 5;Standard charge for iPhone 8, 8 Plus, X and other QI enabled devices. 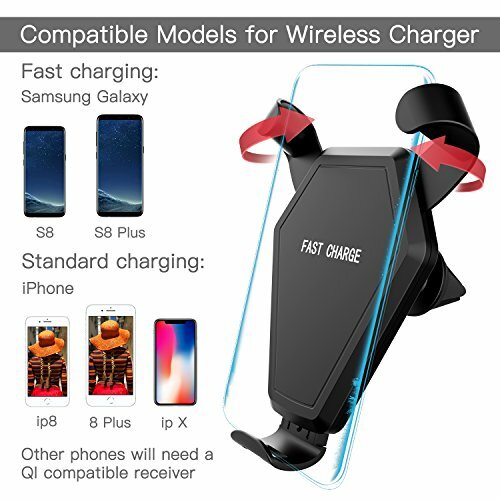 Cell phone with additional Qi-receiver can also use with the wireless charger. 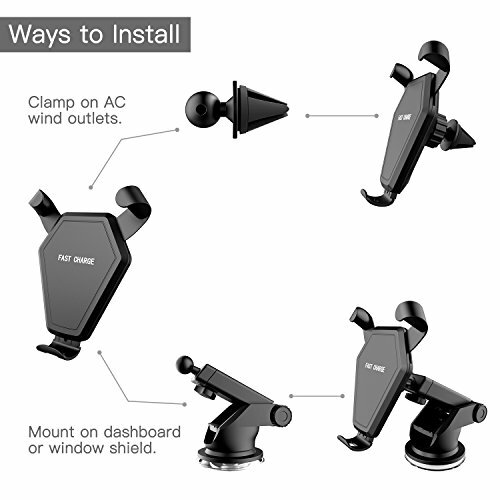 Different Ways to Install: Support Mounting on air vent or suction cup installation, choose to install in home or car as you like. 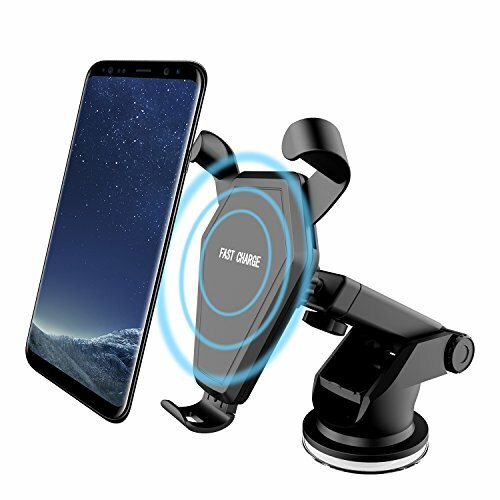 Multiple Function: It is not only a wireless charger but also a phone holder for your cell phone. 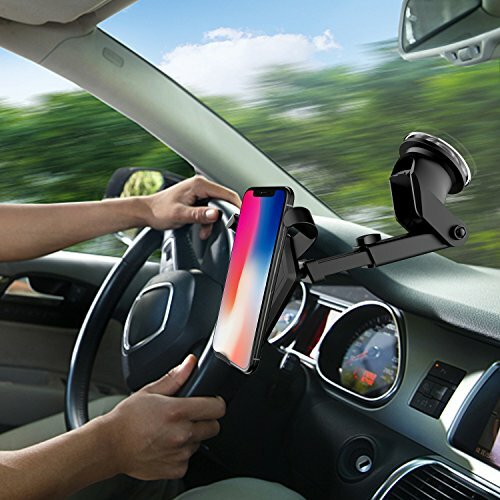 Easy To Operate: When the cell phone is put up, the left and right sides will automatically grip it. 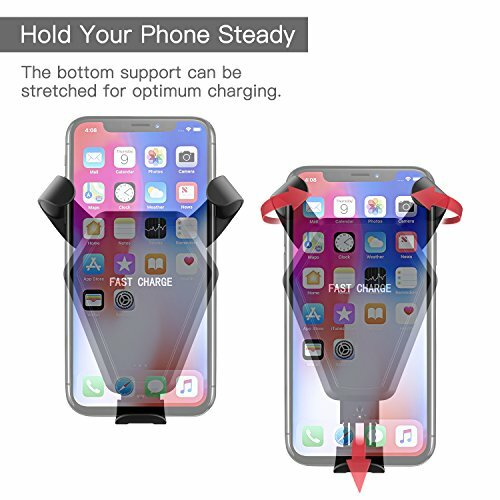 Slip upwards when you want to take it out. 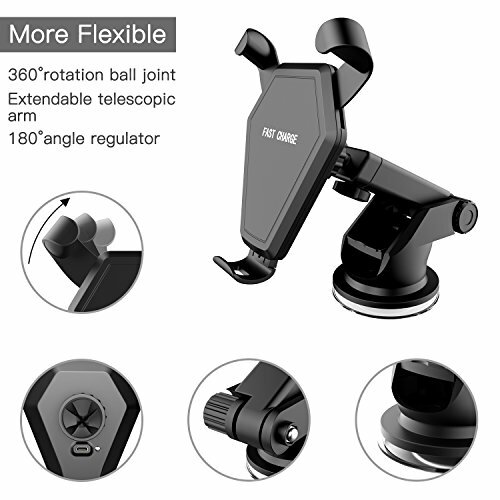 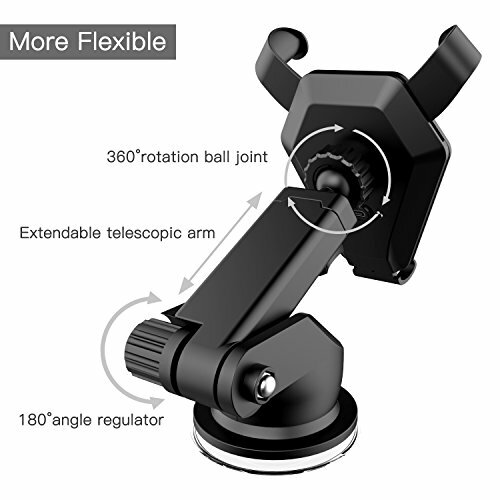 High Flexibility: The 360°rotating ball joint on both mounts enables you to adjust viewing angles while driving for better viewing of the phone. 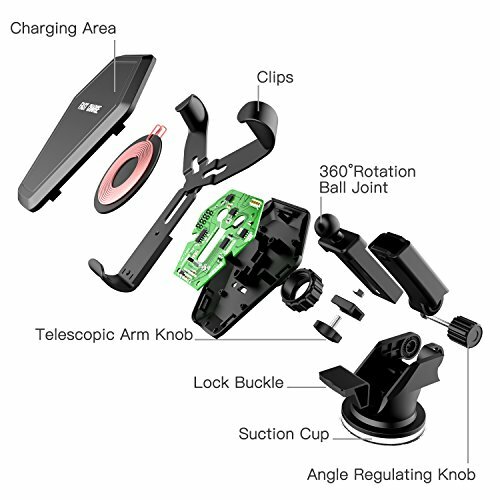 And the bottom bracket enables you to adjust the charger to fit your phone to the best charge position and so on.